Teenage Mutant Ninja Turtles! 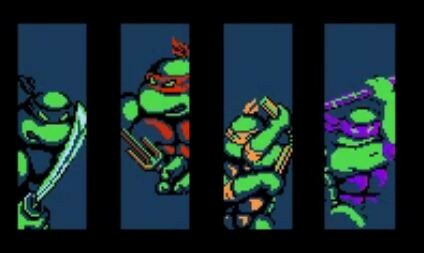 If you were a 80s or 90s kid and didn’t know about these 4 dudes, then you had a very sad childhood. As a kid, I super loved this show. And why wouldn’t anyone? It’s about turtles who can actually do stuff instead of the traditional slowpokes. I remember always being excited on a Friday night around 730pm after Ghostbusters. I had to finish studying early (we had Saturday classes) so I could watch. So fast forward to 2014, Michael Bay is here to try and breathe new life into the TMNT and bring them into the big screen once again (not that there was anything wrong with the original TMNT live action movie… go ninja go ninja go). I saw the trailers and ok fine, it’s a reimagining so I’ll go watch it with a very cautious optimism. Although I have been watching TMNT in animated form for the past months, I still want to consume all TMNT things related. In this adventure, they will stray away from the city where they have always stayed with the comfort of the sewers to go to scenic places like some snowy mountains. The Shredder also looks like his arsenal has been buffed with like boomerang blades and a gazillion knives. There’s also a scene where Splinter scampers around. April o’Neil is also Megan Fox in this movie. So here’s the deal, there have been bad reviews going around saying that this movie is going to be bad. But I’m still going to watch it anyway for these reasons, and you should probably too. I’ll be watching this movie soon, please don’t disappoint me.